learning is inquiry based to explore big ideas and concepts and to activate the skills of creative and critical thinking. learning is collaborative and globally aware through connections with communities and practice beyond the classroom. learning is individualised, relevant and challenging to meet the needs and interests of the learner. learning is based in a supportive Christian love through positive relationships and partnerships. the learning environment nurtures the interests and needs (physical / social / emotional / spiritual) of learners as well as developing independence. learning is driven by quality and timely assessment and feedback practices. Teaching and learning at Immanuel Lutheran School Gawler is guided by the framework and content of the Australian Curriculum. This curriculum equips students with knowledge, skills, behaviours and dispositions that apply across learning areas, equipping them to be confident, lifelong learners in the complex, globalised world of the 21st Century. 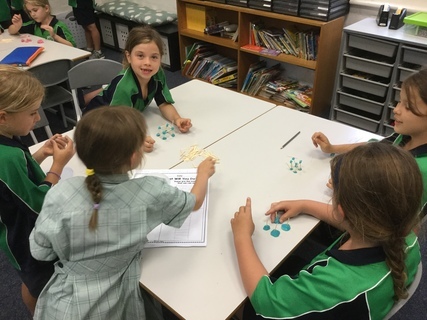 In addition to the subject content outlined in the Australian Curriculum, Immanuel Lutheran School Gawler also develops’ students thinking skills in accordance with the Thinking and Learning Curriculum developed by The Lutheran Schools Association (LSA). This curriculum identifies a set of skills essential for students’ lifelong success in the 21st Century. These curricula provide the learning content, which is taught and investigated through the International Baccalaureate Primary Years Program (PYP). The PYP supports the belief that students learn best when their learning is active and relevant and achieves this through an inquiry based program. Through their Unit of Inquiry studies, students learn subject content from across the Australian Curriculum but contextualised within more relevant, global concepts. You can read more about the Primary Years Program here. In addition to specific Australian Curriculum subjects, students learn about a range of broader concepts and skills. Environmental awareness is promoted at Immanuel Gawler through a range of initiatives including vegetable gardens, composting, rainwater usage and a kitchen garden which provides for our weekly community Garden Market. Technology is integrated within all areas of students’ learning and through the use of laptop or desktop computers and iPads in class, students are taught a range of skills which are vital for them to succeed in today’s technological society. Senior students participate in leadership development programs, which reinforce the values and attitudes needed for success in their future schooling and life beyond school. These values are also reinforced through the mentor program for Year 7 students, which pairs them with a teacher for personalised support and development in their social and leadership skills. Reception students participate in a Perceptual Motor Program (PMP) to support their development of motor skills which can have a significant impact on their classroom learning. At Immanuel Gawler, students’ academic progress is monitored using a range of assessment strategies. Government testing, school testing, student work and teacher observations are all reflected on to gain a comprehensive understanding of students’ learning. As a result of this monitoring, learning experiences within classes are personalised to ensure all students have the opportunity to experience academic challenge and success. In some cases, this in class support and extension is supplemented by withdrawal groups. These groups may focus on developing skills students need support with, or in some cases with extending students’ understandings and skills beyond their classroom experiences. Students’ eligibility for withdrawal programmes is continually reviewed in light of assessments to ensure they meet students’ needs.